View of the flap and flap well. Note the extremely simple construction of the flap, and its operating mechanism. 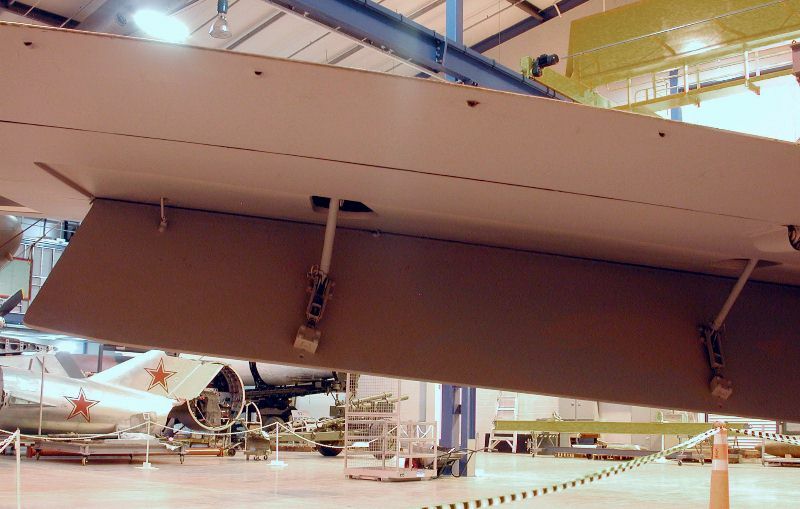 However, the flap system was one of the problem areas during the Komet's development. Also note the tiny rod on the left, pushing out another small rod on the wing's upper surfaces, as a visual indication to the pilot that the flaps were down.